Desc: Landstrom's Black Hills Gold sandals with synthetic rubies earrings. 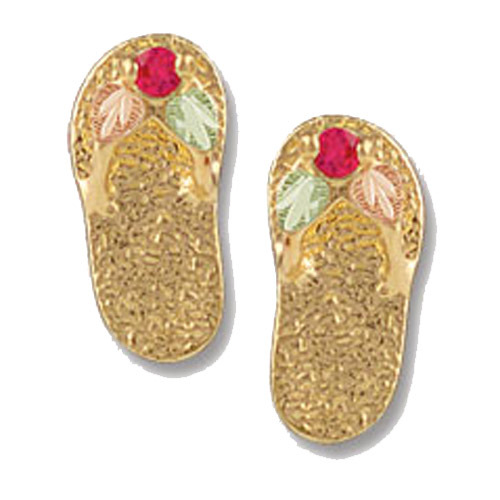 The sandals are yellow gold with rose and green gold leaves on the straps. The synthetic rubies are mounted on the straps. We can provide any birthstone with this earring style (contact us for deatails).